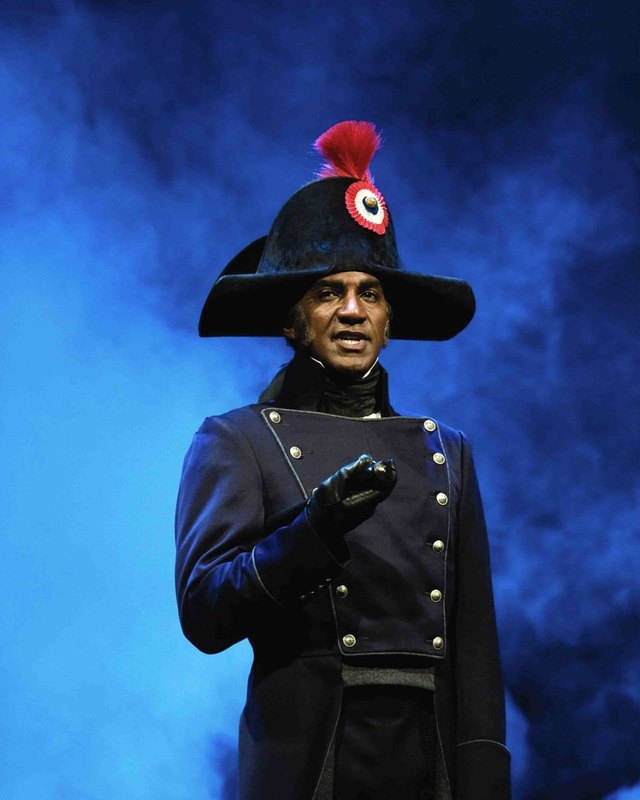 Norm Lewis as Inspector Javert in Les Miserables. By James H. Burns: Stage and television vet Norm Lewis made headlines this week, signed to be Broadway’s first African-American actor in the title role of Andrew Lloyd Webber and Hal Prince’s celebrated adaptation of Gaston Leroux’ Phantom of the Opera. Sammy Davis Jr. had his heart set on playing the part, and — if my memory serves — even recorded some tracks, to show Webber he could handle the part. Davis, you see, was a major monster (and presumably fantasy) movie buff! 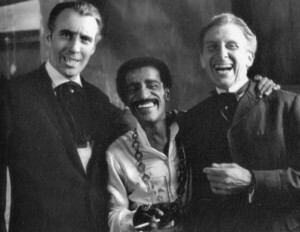 In fact, Davis said in one of his memoirs, he made Peter Cushing and Christopher Lee hip to just how successful their Hammer Studios horror films were in the United States. Running into them at a British studio, Davis said their jaws collectively dropped when he mentioned their films’ American box office tally. Christopher Lee, Sammy Davis Jr., and Peter Cushing. Phantom of the Opera’s production team may have felt that Davis’ celebrity was simply too strong to successfully essay the role. Sadly, a Davis tenure beneath the Paris Opera House may have been mis-fated, as he became ill not long-after the musical’s initial ballyhoo, and he passed in 1990. Update 03/22/2014: Added Davis YouTube to article. I got to see Robert Guillaume’s performance when he was in Los Angeles. Unlike Crawford’s Phantom who always struck me as a petulant character as much as anything else, Guillaume’s was much more nuanced. It came across to me as a much older Phantom who had one last chance at some kind of a life beyond the sewers.